It has been almost 25 years since Clint Eastwood, the greatest western star (see our post on Shooting Stars 1) since John Wayne, appeared in his last western, the impressive Unforgiven. Now in his 80s, he is still working, but it seems doubtful he will ever appear in or direct another western. 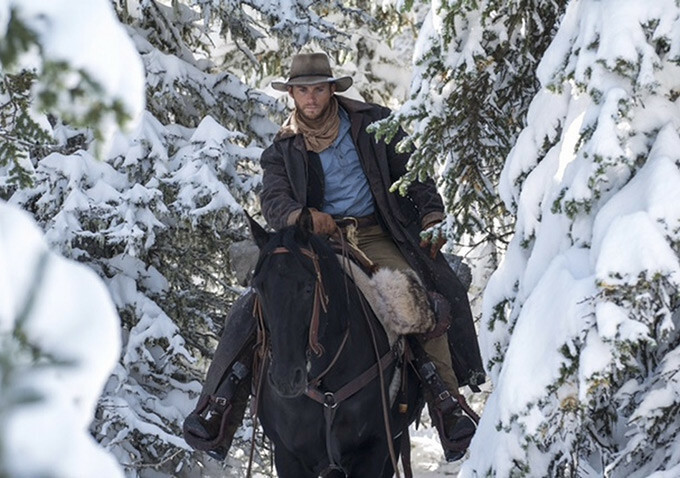 Now comes his son Scott Eastwood (formerly known as Scott Reeves; his parents weren’t married) in his first western. He has appeared in other movies (Fury and The Longest Ride, for example), and it appears that he may be a real actor. Part of the enjoyment in watching this intensely psychological western is looking for those moments when Eastwood’s hair, the angles in his face and, just occasionally, his way of speaking remind one of his father. It seems apparent from the movie posters that a little tweaking was done there to emphasize any resemblance to his father’s appearance. As a psychological western with a significant twist, be warned: there will be spoilers regarding that twist. Read no farther if you don’t want to know it. The movie develops slowly, and we are almost an hour into a short movie (83 minutes in total) before the plot starts to develop its point. It begins with an action scene, of Mexican night raiders burning a ranch belonging to Jackson (Scott Eastwood) and abducting his wife Alexandra (or Alexsandra, which seems an unlikely way to spell it). This is Colorado Territory in 1872; the titles inform us that it is seven years after the Civil War, so we assume that will play some role in the film. Jackson assumes that the raiders have taken the “South Trail” toward New Mexico, and he follows. As the story develops and he follows deeper into the wintry mountains, two elements become apparent. 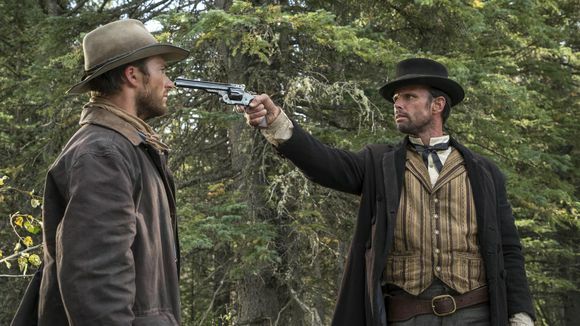 Jackson is not very trail-wise, being taken unawares by an Indian boy whom he allows to escape, and being jumped by an itinerant Chinese trader and then by Ezra (Walton Goggins), a possibly deranged man claiming to own the road. Ezra gratuitously kills the trader and threatens to kill Jackson. It also becomes obvious that Jackson should, in addition to his rifle, be wearing a sidearm, since he gets taken by surprise so often when he doesn’t have the rifle. When he finally does see the Mexican party at a distance, one of them shoots him. Dying, he is visited again by Ezra and awakens to find himself in a teepee being attended by the Indian boy’s father Nakoma (Adam Beach). They give him peyote, and it is revealed in a gruesome scene that Jackson accidentally killed his younger brother during the late war. The Indians drive him out, and as he goes, Ezra appears and shoots several of them. 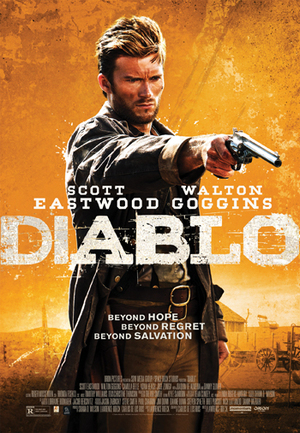 Jackson (Scott Eastwood) meets the volatile Ezra (Walton Goggins). [Spoilers begin in earnest.] The wounded Jackson visits Benjamin Carver (Danny Glover), a black man he knew during the war who now lives with his granddaughter in the mountains. Carver offers to help, but is clearly afraid of Jackson, referring to Jackson’s service under Gen. Sherman as a killer and killing his own brother. It now starts to become obvious that Ezra is Jackson’s alter ego, and that Jackson is a deranged killer, probably unhinged by killing his brother. He is now using a pistol and moving like he knows very well how to use it. Jackson (Scott Eastwood) encounters Alexsandra (Camille Belle) at a stream. He finds the Mexicans, and approaches Alexsandra at a stream. She flees from him in terror, and the Mexicans bolt for the south. They come to an extensive hacienda/homestead and prepare for Jackson’s arrival. He kills several of them, using the pistol with great efficiency and ferocity. Invading the house, he finds himself in the same room with Alexsandra, who pleads with him to leave her in peace with the father of her children and then shoots him in fear. She flees to the next room, and a badly wounded but still ferocious Jackson appears at the door. The movie ends with a close-up of Jackson in freeze frame, but the soundtrack continues, making it sound like he shoots Alexsandra’s husband and perhaps Alexsandra herself. Jackson is the “Diablo” of the title. This movie won the Best Feature award at the 2015 San Diego Film Festival. Subsequent audiences have not generally been so fond of it, perhaps because of its slow initial development and its bleak, nihilistic ending. 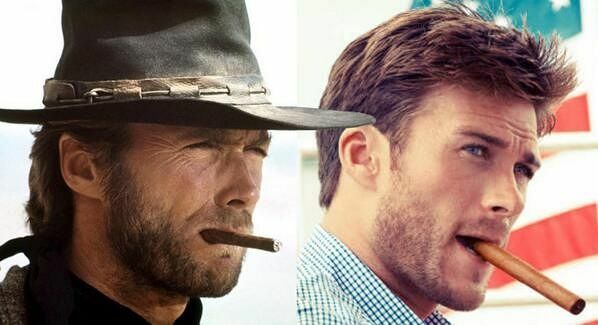 Scott Eastwood is an attractive young man and a decent actor, although not as good as Walton Goggins (Cowboys & Aliens, Django Unchained, The Hateful Eight), who is downright scary as the murderous half of his mind. Camille Belle, as the young Mexican woman Jackson may have abducted himself before the film began, has very little film time but does well enough with it. We needed a little more backstory on Jackson earlier in the movie to avoid losing patience with the story; the sense is that it wasn’t quite playing fair and delayed the real developments in the story too long. The film was shot in color in Alberta, as many westerns are these days. The cinematography (by Dean Cundey) of the wintry landscape is beautiful, although it is not entirely clear what the season is and why some places are snowier than others, making it seem capricious. The overhead shots of Jackson riding through the scenic landscape may be overdone. This is the second film for director-producer Lawrence Roeck, who co-wrote it. Overall, the movie is not as watchable a western as it could have been, but it shows some promise. Rated R for violence. This entry was posted in More Westerns and tagged Psychological Westerns, Supernatural Westerns, Western Thrillers on March 3, 2016 by Nicholas Chennault.